The Mason County Sheriff’s Office is located in the county seat of Ludington, along the shores of Lake Michigan. The first Sheriff of Mason County was Daniel Holmes, who was appointed to the position in 1855. Since 1855 Mason County has seen 23 sheriffs elected to serve the citizens of the county. Sheriff Holmes (appointed in 1855 and elected in 1872-1880), Sheriff J. Sabin (elected in 1855 and again in 1865-1872) and Sheriff George Colyer (elected in 1918-1923 and again from 1926-1941) all served as sheriff at various times in history with Sheriff Colyer serving at the President of the Michigan Sheriff’s Association in the 1930’s . One family has been fortunate to have two members serve as sheriff. Sheriff Henry Cole served from 1899-1903 and his great-great grandson, Kim Cole, currently serves as sheriff taking office on January 1, 2013. The longest serving sheriff was Edward Anderson who served from 1943-1964. Thankfully Sheriff Cole survived the ordeal and served a second two year term. On March 12, 1966 MCSO Deputy Max Altman was struck and killed by a fleeing vehicle while attempting to clear the US10 & US31 (now known as Pere Marquette Hwy) intersection of innocent motorists. Reports indicate Deputy Altman, 32 years of age, had only been with the agency for 3 months when he was struck and killed by a vehicle fleeing from Scottville Police. 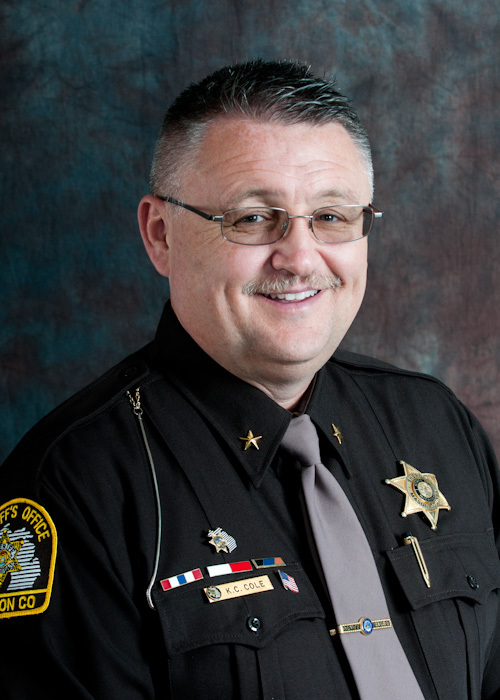 It was reported the vehicle, a black 1957 Buick, was exceeding 100 miles per hour and it traveled westbound on US10, away from pursuing Scottville PD, when it crashed into the deputy. Deputy Max Altman has been the only MCSO deputy to have lost his life while on duty. Deputy Altman left behind a wife and three young children. From the early days of the Sheriff’s Office, which at its start, consisted of a sheriff and his deputy and an occasional arrest today has become a fully functional, multi-faceted professional organization. Today the Sheriff’s Office employs over 40 professionally trained deputies, specially trained in various fields to better serve our great community. From K-9 to crash re-constructionists, evidence technicians to divers, Mason County has some of the best trained deputies around. Supplemented with a volunteer base of nearly 50 Mounted & Reserve Deputies along with a Victim Services Unit; a correctional facility which houses over 100 inmates and 24 hour a day, 365 days a year road patrol, YOUR Sheriff’s Office is committed to service above ones self.